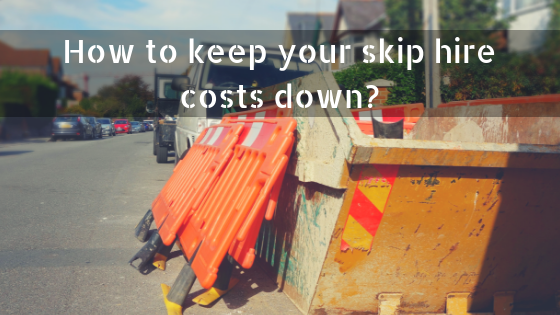 If you’re searching for affordable skip hire, there are several factors that you need to be aware of- especially if you’re to receive the best value for your money. When it comes to finding a reputable skip hire company, you need to be willing to do your research. Here at Preston Skip Hire, we have developed a wealth of experience, providing skips to suit various projects, but don’t just take our word for it… find out for yourself! Don’t be tempted to choose the first company that you come across, offering skip hire Preston, and don’t choose one simply because they offer cheap skip hire. Skip hire Preston is a great way to remove waste but is also extremely efficient. It’s not a “cheap” solution for waste disposal, so don’t be fooled into hiring a skip that is seemingly too good to be true. Here at Preston Skip Hire, we have a wide variety of domestic and commercial skips available for you to choose from for your skip hire Bolton. Ranging from the 2-cubic yard mini skips, all the way up to the 40-cubic yard roll on, roll off skips, we are confident that you’ll find an appropriate skip for your project. Don’t think that you need to cram all waste inside the skip. We supply our skips for skip hire Bolton in an assortment of sizes to ensure that you have sufficient space to store unwanted materials. Depending on the type of project that you’re undertaking, we can help you to identify which skip suits your kitchen or bathroom refit, large clear out or clearance project. Apply for a skip permit. At this point, you should have decided which skip you need to complete your project. The next thing that you need to decide is where you’re going to leave your skip. When skips are left on the road, a permit is required for your domestic skip hire. Skips that are left on your private property- including your driveway or your garden, don’t require one. If you have insufficient space to store your skip on private property or you don’t have access to a driveway, we can leave skips on the road but only once the permit for your skip hire Chorley has been obtained from the local council. To make it easier for you, we can obtain the permit on your behalf and include the cost for the permit, within the overall cost of your skip hire Chorley. Book in plenty of time. Updating your property can be incredibly difficult, especially when work and everyday life can get in the way! We suggest choosing a date that you will start your project and put this in your diary. Arrange your skip hire Leyland around this date and ensure that it covers the duration of your project. Planning in advance will enable you to avoid disappointment- nobody wants to leave skip hire to the last minute because this can work out expensive and will leave you with a limited selection of skip sizes to choose from. When you hire a skip, you are likely to hire it for a certain amount of time. Exceeding the hire period will leave you on the receiving end of an expensive fine, instantly increasing the cost of your skip hire Leyland! Contact us to discuss your project requirements in further detail today and make sure that your skip hire covers your entire project. We arrange to deliver and collect our skips at your convenience, ensuring that it suits your project needs. Estimating the volume of waste that your project will generate will allow you to choose the right skip. What’s more, the lorries that we use to collect skips have weight restrictions which means that they cannot transport heavy loads to the sorting facility. If any of the above are found in the skips that we provide for skip hire Wigan, you can expect to be handed a fine for not adhering to skip hire policy. Recycle and donate as much as possible. To save space inside your skip, why not sort through your belongings and identify what can be recycled, what can be reused and what cannot. Taking items from skip hire Wigan to the recycling centre will free up space within your skip- allowing you to fit more in. As well as recycling materials, consider making charitable donations- not only will these allow you to get rid of waste efficiently, they’ll also allow you to do something beneficial for others. Preston Skips can help you to get even more out of your skip hire Preston. Breaking items down, like tables, chairs, wood and plastic, into smaller parts will allow you to squeeze more in and will prevent you from filling your skip quicker than you anticipated. The way that you load waste into the skip can also impact on the storage space available, therefore, storing them in an organised manner, will ensure that your skip is level-loaded and ready to be collected. Our skips for skip hire Preston are not suitable for all materials and this is for safety reasons. Skips have a maximum fill level which is to be considered when loading your skip with waste. When waste exceeds this level, your skip is no longer level-loaded and it makes it incredibly difficult for us to lift it onto the back of our loading vehicles and increases the risk of injury. For more information about how we can help you to minimise your skip hire costs, call us on 01772 827603 today.